The Renaissance Wood Cremation Urn is crafted from American walnut and embellished with a laser engraved decorative border. 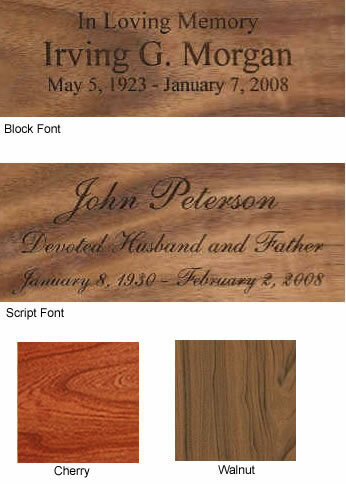 These urns are wonderful for those who appreciate the beauty of wood and expert craftsmanship. These urns load from the bottom through a wood plate that attaches with screws. It is important to keep the cremains in a sealed plastic bag inside the urn.